Part of our Operation Neptune month-long special, Operation Bagration weekend marks the months-long Soviet strategic offensive that began on June 22 1944, and lasted until August. Named for Imperial Russian General Pyotr Bagration, Operation Bagration was almost a reverse of the 1941 Operation Barbarossa (the German invasion of Russia), but on an even larger scale. Millions of men and thousands of machines clashed in brutal combat. The operation ended with vast Soviet gains in the West and the encirclement and capture of the German Army Group Centre. To mark the anniversary of this operation, we are offering a 3x XP bonus for the first win of the day, and if you keep attacking and do well with a tank (placing in the top five XP earners in a winning battle), you'll receive another 3x XP bonus! 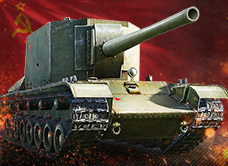 We are also offering steep discounts on regular and Premium Soviet and German vehicles up to tier VII, including some that participated in the operation! Finally, check out our Premium Shop bundle deals on Soviet and German tank destroyers, used to train regular tank destroyer crews and shower you with Credits as you fight! Experience for the first win of the day! 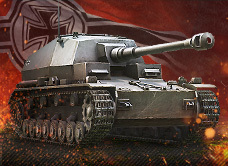 Win a battle and place in your team's top 5 XP earners.